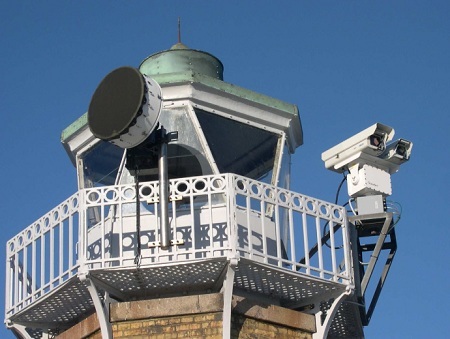 Why use Pan-Tilt positioners when speed dome PTZs are widely available? For many, these units are a thing of the past. However, they do play important specialists roles within surveillance. In this note, we answer this question, examine Pan-Tilt (PT) positioners, their key applications, central advantages vs PTZs and differentiators among pan tilt units. High MP Cameras: 'All-in-one' PTZs featuring resolutions greater than 3MP are rare. Positioners can be used to enable any multi-MP camera to be flexibly moved, with pan ranges of 360 degrees and tilt ranges between -5 and +180 degrees common. Zoom lenses above 35X: PTZ camera lenses are designed to fit inside domes, and the restricted space limits total zoom power. When ultra-long range zooms are required, the lens units can be larger and longer than the camera unit itself. For these applications, the 'open' mounting surface of a positioner is required. Spot Illumination: Positioners are designed to include IR illuminators or White Light lamps that travel along with camera. In some cases, the camera may actually be secondary to the prime function of 'aiming' illumination. When combined with intrusion detection sensors, PT positioners can be programmed to 'zero in' and shine light and follow movement in dark areas. Given that adequate illumination is key to good video, lighting is a common pair with cameras on positioner gear. 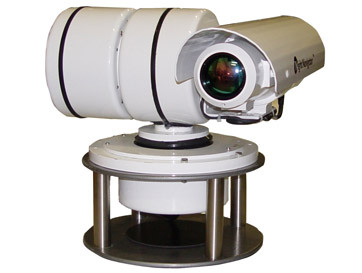 Specialty Cameras: Commonly, non-standard machine vision, thermal, or analytics enabled cameras are mounted on positioners to increase their FoV. 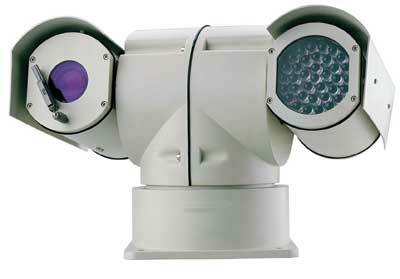 In hazardous environments, PT positioners are commonly used when rated PTZ cameras are too costly or not available. Intrusion Sensors: Ground based radar and other intrusion sensors can be flexibility positioned. Especially in military or perimeter applications where risk locations may change over time, positioners can be use to automatically reposition sensors without need to travel to remote locations. Wireless Radios: In deployments where 'point-to-point' communication is critical, positioners help keep radios aligned properly for mobile, airborne, or marine applications. In these cases, the positioner is used for more than only just surveillance, and they can quickly become a critical part of site infrastructure. Distance Finders: In some applications, understanding the exact distance a subject is from the camera is critical, and positioners are used to mount laser range finders to gather precise measurements. Military and marine applications typical employ positioners in this role to confirm the distance and location of unidentified assets. Most positioners are designed with different mechanical positioning components than PTZs. For example, instead of lightweight nylon gears or friction drive wheels, Positioners are constructed with mechanical gearboxes or electronic servo motors. This difference impacts cost, and generally results in a higher price of the positioner compared to a PTZ. However, the design difference results in a more reliable, sturdier, and more precise movement mechanism. Many units are designed with 5 or 10 year warranties and with no expected maintenance of components. In some cases, the mechanical positioning equipment provide more than coarse camera positioning, but also support stabilization features. The fine movement control possible with a PT positioner allows stabilizing 'movement cancelling' processes typically found in minor low frequency vibrations or swaying, and the durable geared construction supports continual trim movement. In many cases, additional equipment is be hung on a positioner to enhance base camera function. Including the weight of the camera housing and additional lensing, the total weight to be moved can exceed 50 pounds. As a result, even 'lightweight' positioners are designed to support more weight than PTZ mounts. In some situations, the repeatability of movement to the same location is critical. For example, in analytic applications, if a camera drifts by even a few pixels within presets it can cause false alarms. Especially in perimeter security applications, positioners allow a camera to repeat location to the same spot within fractions of a degree every time. In other applications, like orienting antennas or sensors, this accuracy is required to 'fine tune' position for optimal reception. 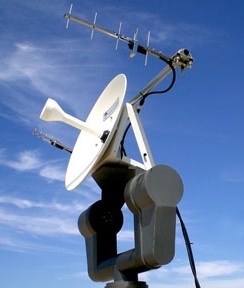 PT positioners are frequently used in 'mobile surveillance' applications, where either end of the 'point-to-point' communication link may be moving. Positioners allow keeping this equipment properly aligned regardless of location. Most positioners also have a controller component sold either integrated into the unit or as a separate unit. The role of the controller interfaces between an operator's joystick and the mount. The controller is a specialized motor control unit that is engineered to maintain the location and position of the positioner's motor and gearbox. Analog/Serial: The most common form of communicating with a PT positioner uses an analog format. An RS-485 cable connects the operator to the positioner carrying a data stream of movement commands. The controller interprets these commands according to the protocol being used, and subsequently moves the positioner. Many DVRs contain outputs that can be used to tie analog positioners into recording systems. The positioner commands are carried to the camera by the network connection, and is output to the positioner by the camera. Other positioner products use an proprietary 'IP controller' in a similar fashion to an IP video encoder, that connect an analog positioner to the ethernet. The cost of positioners range from a few hundred to tens of thousands of dollars. In general, the more precise and more weight a positioner carries, the higher the cost. 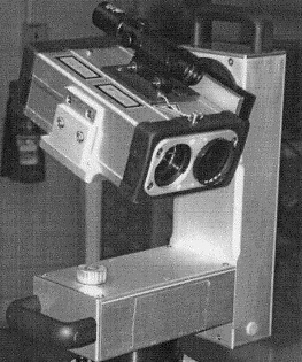 For example, a 'lightweight' camera-only model, designed for intermittent duty and position repeatability within a few degrees is suitable for most surveillance jobs, and will range between $500 and $2000. A unit designed for continuous duty that supports up to 25 pounds of weight, and is repeatable to within a half degree will range between $2000 and $6000 dollars. These units often come with extended warranty periods and are designed for 'maintenance free' operation. For advanced applications, Positioners supporting heavy weights of 100 pounds or more and with high precision within tenths of a degree start at $12,000 and range beyond $40,000. 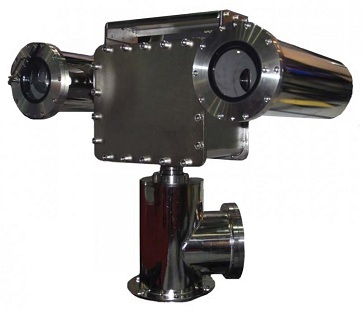 These units are typically sold in critical infrastructure or military applications, are used in rugged, hazardous, and harsh environments, and often position more than only surveillance cameras.